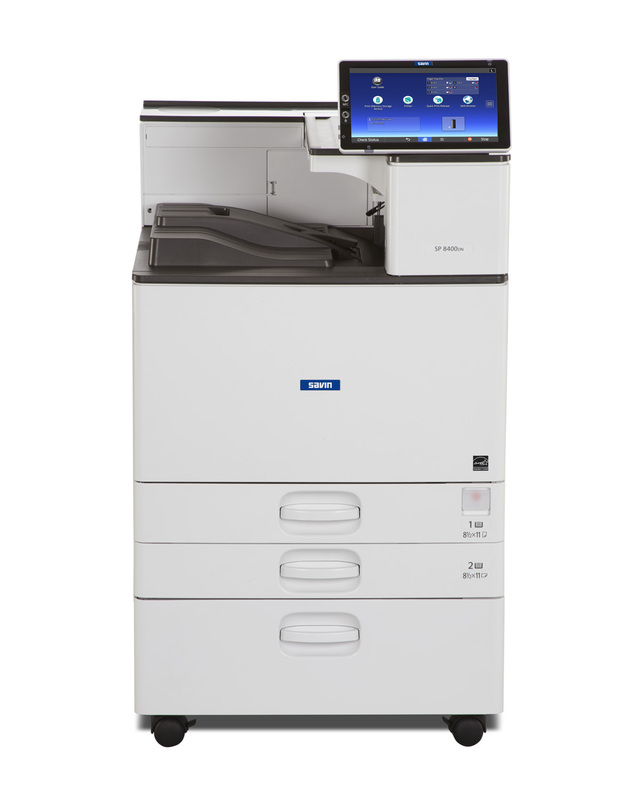 The SP 8400DN is ideal for general office and vertical market customers that require high quality black and white printing at high volumes. In addition to hybrid finishing, the new tri-fold and hybrid finishing options will enable customers to produce durable, high quality pieces in-house for increased productivity saving time and costs. The new 10.1” Smart Operation Panel with Workstyle Innovation Technology will enable users to experience many of the advanced capabilities and workflows available to MFP customers. NFC card authentication and Remote Device Connector for mobile devices are new features that support information mobility and a mobile workforce.